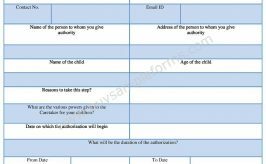 This form is used when a company is looking to obtain the ongoing authority to charge a person, or companies’ credit card by a fixed amount each month. 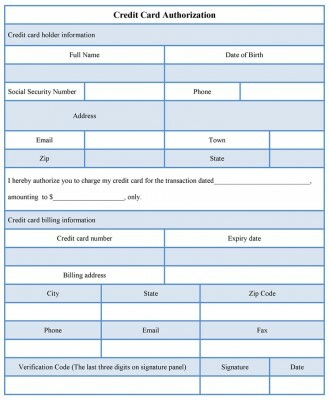 The credit card authorization form allows a person to be able to pay with a credit or debit card when the details are obtained via fax, over the phone, or by writing down if the card machine is not working. 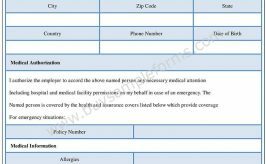 The form includes cardholder’s and customer’s name, type of card, name on card, card number, expiration number, billing address, and signature of the party (if available). 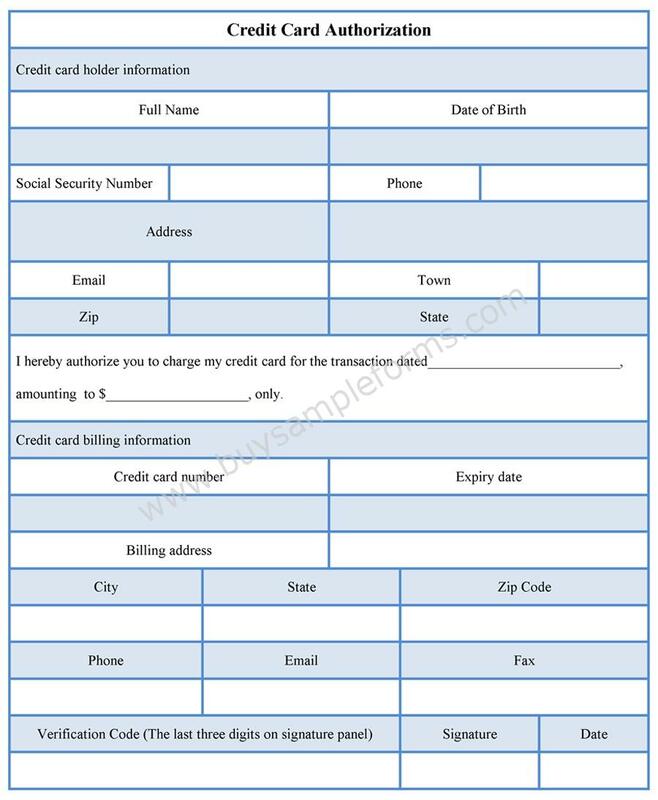 Below is a sample of Credit Card Authorization form. The sample Credit Card Authorization template is available online in both MS Word and PDF format. Both MS Word and PDF format allows you to edit and customize according to your requirement. Just download the forms and fill out appropriate information fields.